What Are the Clips Called That You Put on the Fret of a Guitar to Play an Octave Higher? A quick and easy way to change the musical signature key on a guitar is to use a capo. A capo is an accessory that clips onto the guitar neck, just behind a fret, to allow you to play in different keys. This is required if you need to change the key of a song to bring it within the range of your singing voice. There are various types of capos available on the market today. A capo forms a “barre” across all six strings of a guitar allowing you to quickly and easily change the key of a song. Attach the capo to rest just behind a fret, ensuring that all six strings are firmly held and that they don’t buzz when played. If you place the capo behind the third fret and finger an “E” chord shape, then the chord you are actually playing is “G.” To play a full octave higher, attach the capo behind the 12th fret. A toggle capo is the simplest type. It is cheap and easy to use but requires two hands to fix in position and move. It basically consists of a padded bar and a plastic toggled bar that attaches a nylon strap to notches on the reverse of the capo bar. A variation on this is even simpler with only an elastic strap that goes around the neck and clips back onto the end of the bar. The easiest capos to use are those that clip on to the guitar's neck using a sprung lever motion. These can be attached with one hand and moved quickly without having to put down or move your guitar. When it's not in use, you can also clip it to your headstock to retrieve later. The only downside to this type of capo is that you cannot adjust the pressure on the strings, which may cause some tuning problems. The classic mechanical is a solid, padded steel bar that is held in place by a screw-in mechanical fastening of some kind. Although these require both hands to attach, the screw allows for variable pressure to be applied, which reduces the potential for tuning problems. Spare parts are also readily available for these popular accessories. The spider capo is a more recent innovation that allows a player to capo individual strings. Used on its own or in combination with a second spider capo it can be used to create a huge range of open tunings that will really open up a new world of tonal possibilities. 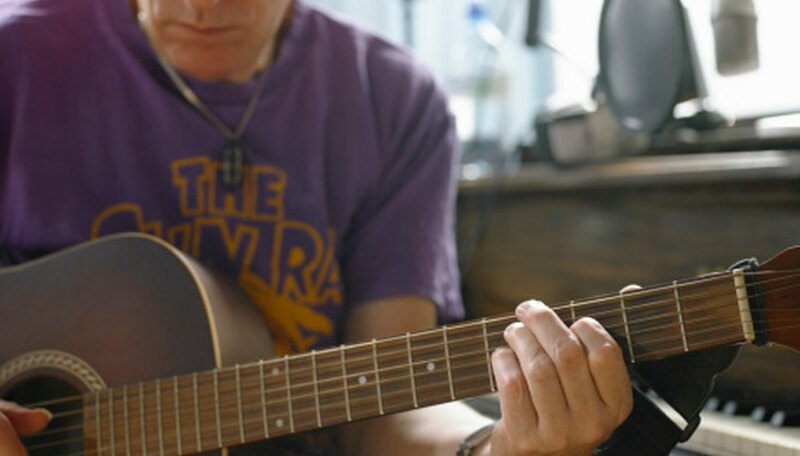 Attachment is more complex and the device itself requires more skilled playing ability but it is proving popular with guitarists searching for different sounds. Strings and Beyond: What is a Capo? Ultimate Guitar: What Is a Capo?